One of the first lines of narrative you’re given is the ideal that teenagers haven’t always been given the lifestyle they have today. Being a teenager was basically a war-time invention. Prior to child labor-laws, children grew until they were 12 or 13 then were sent to work where they labored upwards of 74 hours a week in 1904. Once the child labor-laws went into effect there was a different category for children when they reached adolescence. Teenagers were born. This film sees the various stages that being a teenager has seen come and go. From flappers, jitterbuggers, victory girls and sub-debs, there comes with each generation a new incarnation of what being a teenager means. In the midst of the narrative, we learn what being a part of the Hitler Youth meant. Seen originally as a type of scout camp on weekends, it eventually took on a darker tone the further the war-effort stretched. From an early on-set, political groups learned that teenagers are the biggest population that can be swayed either good or bad. The film shows the influence current music had on the events of the day. Teenagers were the initial barrier-breakers when it came to the race issue. A generation that existed seemingly only to oppose the older generation, the two fought on everything. From leisure activities, to music and fashion. Eventually there was a compromise where teenagers were allowed to have freedoms with parents ultimately having control. Teenagers are the generation who fight for ultimate change. This was a fairly decent and highly informative film, which I found impressive. 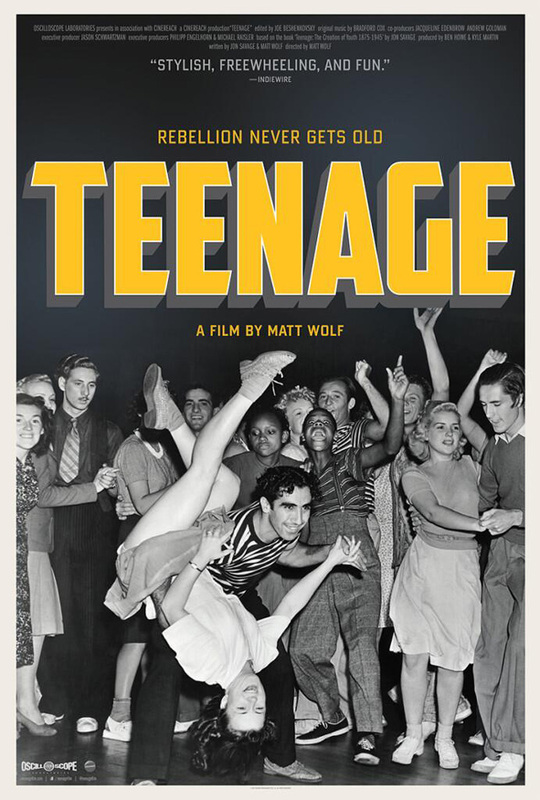 ‘Teenage‘ is a solid documentary. This entry was posted on Wednesday, April 30th, 2014 at 11:20 am	and is filed under Books, Film, News. You can follow any responses to this entry through the RSS 2.0 feed. You can skip to the end and leave a response. Pinging is currently not allowed. « ‘Star Wars’ Cast Announced! !